The content of today's blog post is the entire text of a news release I received yesterday. It is the official response from Michael and Diane Hartmann, owners of the Hartmann Dairy Farm, to charges that they sold raw milk that infected four people with E.coli 0157:H7. It is the only public statement that the Hartmanns have issued so far. Although I have talked to Michael Hartmann off-the-record twice since the story broke a few days ago, he has been advised to refrain from giving any public interviews. What follows is a statement on behalf of Michael Hartmann, owner of Hartmann Dairy Farm, and his family in response to a number of news reports that milk from the farm has made people ill. If you have any questions, please contact Gary K. Wood at 612-384-9250, or garykwood@msn.com. Michael Hartmann and his family have taken great care for more than 15 years to provide wholesome and nutritious products to private individuals who choose to consume his farm natural foods, produced without dependence upon pesticides, herbicides, antibiotics, or genetically modified grains. The family had not received any information from any consumer about concerns, or allegations of E. coli contamination of any food product until the farm was subjected to the execution of a search warrant by the Minnesota Departments of Agriculture and Health. Aided by the Sibley County Sheriff and eight armed deputies, the department officials seized samples of milk, cleaning water, waste barrel contents, and manure, along with copies of records of customers, phone numbers, and delivery sites. No results of sample testing, which generally take 15 hours, have been released. When the results are made available, everyone will be better able to understand the identification of any bacteria and its source. The Hartmann family is seriously concerned for the health and welfare of the individuals who became ill. The family would be surprised to be found the source point for these illnesses and look forward to the opportunity to review any evidence the State may have. While the family received a copy of the search warrant, it has been unable to obtain a copy of any affidavit or testimony provided to the Judge to support the issuance of that search warrant. The family has only been able to contact two of the individuals reportedly diagnosed with E. coli illnesses. Of these two, one is not a customer, and the other has denied consumption of raw milk product. The family is continuing its efforts to identify the remaining consumers who became ill. Of course, this task would be easier if the State disclosed the names of the complainants or the content of reports of product consumption. The Hartmann family requests that its farm not be pre-judged by the media. Please be aware that organic producers, and particularly those who engage in the private sale of raw milk to individuals who make that choice, have been the subject of intense investigations and enforcement actions in a number of states, including Wisconsin, Michigan, Pennsylvania, and New York. 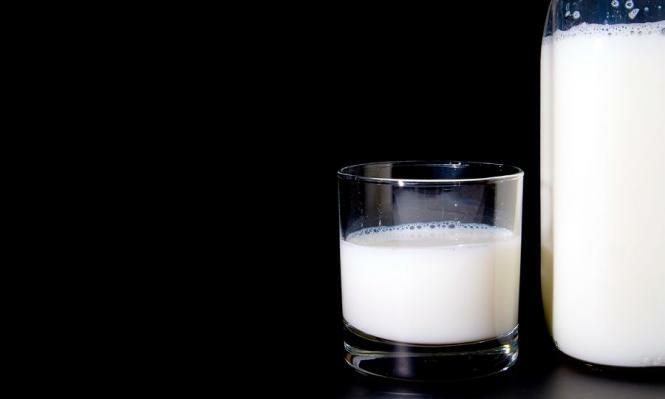 The many of us who regularly consume raw milk do so with the knowledge that raw milk is not unsafe to drink as stated by Heidi Kassenborg, the Minnesota Department of Agriculture director of dairy and food inspection. It does not appear that Ms. Kassenborg’s bias is based on science or experience, but upon the arbitrary conclusion of a chief regulator. Regardless of the manner in which this matter is resolved, one has to be concerned about the intentions of state regulators. Shari Danielson is editorial director at Simple, Good and Tasty.